Crisp 14 karat white gold is set with 1.00 carats (1.05 Carat diamond look) 4-5.5mm synthetic moissanite gemstones. Moissanite is a gemstone with extraordinary durability and brilliance. Moisannite is the perfect replacement for a diamond and comparable to, or even surpassing the clarity, and color of a diamond. 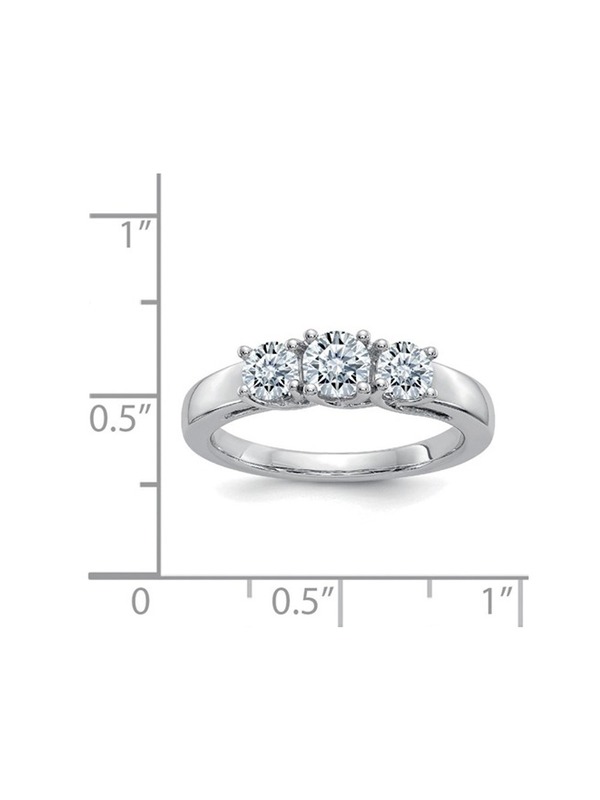 This ring includes 3 True Light moissanite round cut stones with an equivalent diamond color of G-H and an equivalent total diamond weight of 1.05 carats.